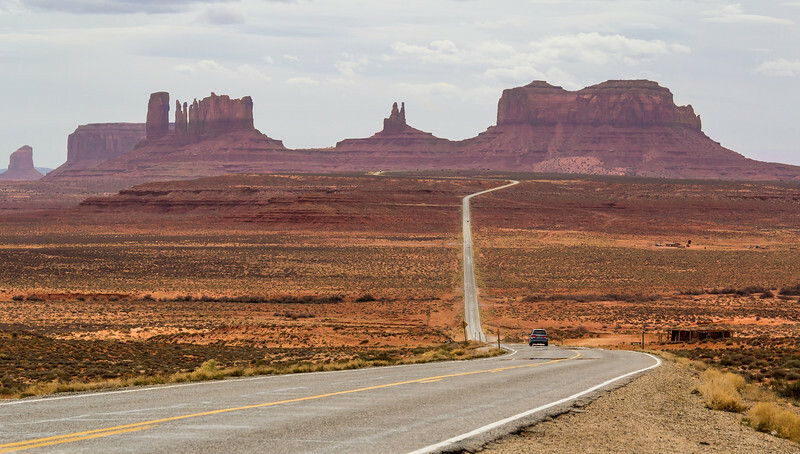 North entrance into Monument Valley. Luckily the hazy clouds softened shadows on the formations from this famous viewpoint. My favorite so far. My eyes followed the road and made me explore it more. Great shot.